Since the announcement of the new ownership, many sellers have been listing at higher prices (north of comparable sales) and buyers have been willing to pay those higher prices. This creates an increase in prices across the board. Appraisers are also making adjustments to their estimates of values to reflect the upward trend in pricing and market conditions. Directly below are four charts showing real estate sales activity for condos and homes for the period between January 1, 2017 – August 1, 2017 and the same time period in 2018. 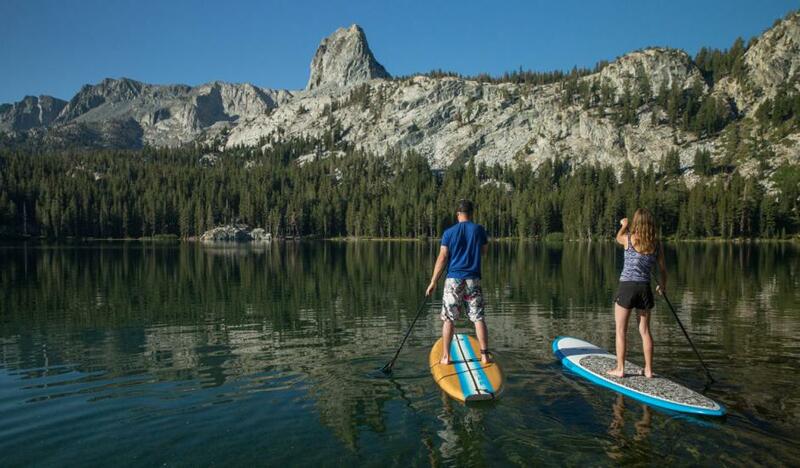 In general, tourism continues to be on the rise in Mammoth Lakes all year round. This summer has been the busiest I’ve seen yet in the 20 years I’ve lived in town. This summer has also been very HOT everywhere. Temperatures are on the rise in the state of California and this includes Mammoth. Even at an elevation of 8,000 feet, we have seen consistent temperatures for extended periods of time in the low to mid-80s+. The various lakes with beaches (June Lake, Horse Shoe, etc.) have now become popular water sports recreation areas with stand-up paddle boarding, kayaking, swimming in the cool water or just floating and enjoying the scenery. This has also been a smoky summer with the wildfires surrounding the Eastern Sierra, namely the “Ferguson Fire” which began on July 13th and has been burning for 20 days. The fire is 39% contained and has burned a total of 62,883 acres in the Yosemite area. Yosemite Valley will remain closed until August 5th. Both the hot temperatures and fires burning in Yosemite (forcing the closure of the park) have undoubtedly brought increased tourism into Mammoth for those looking to escape the heat or have a place to go as a result of the Yosemite fire closure. The many consecutive years of drought have weakened the forests, which has resulted in a Bark Beatle infestation. In looking around at the forests in the Mammoth Lakes area, it would appear that roughly 25% of the trees are dead as a result of this infestation. This is a widespread issue that involves many of the forests in the higher mountain elevations of California. The dead trees create a ripe environment for forest fires to ignite quickly and explode in force. For the remote areas that are uninhabited, it is beneficial to let the fires burn through the dead forests so that eventually a stronger and healthier forest can grow. It would be a very severe situation if a fire started within Mammoth Lakes given the number of dead trees in the local forests…. It would be a time sensitive effort to keep a fire from expanding quickly and out of control. Thanks to the excellent work of the U.S. Forest Service, the Town of Mammoth Lakes has a substantial fire break surrounding it, which would hopefully protect Mammoth Lakes in the event of a fire starting outside the town limits. With the unpredictable weather patters for California, it’s hard to say what we will be able to expect in the coming years for precipitation and snowfall. One thing is clear, the snow levels are getting higher with the warmer winter temperatures. We can only hope that the Sierra Nevada receives at least “normal” snowfall as it supplies a substantial amount of water to California. Many of you may have heard that Alaska Airlines will be discontinuing flight service into Mammoth Lakes on November 30, 2018. 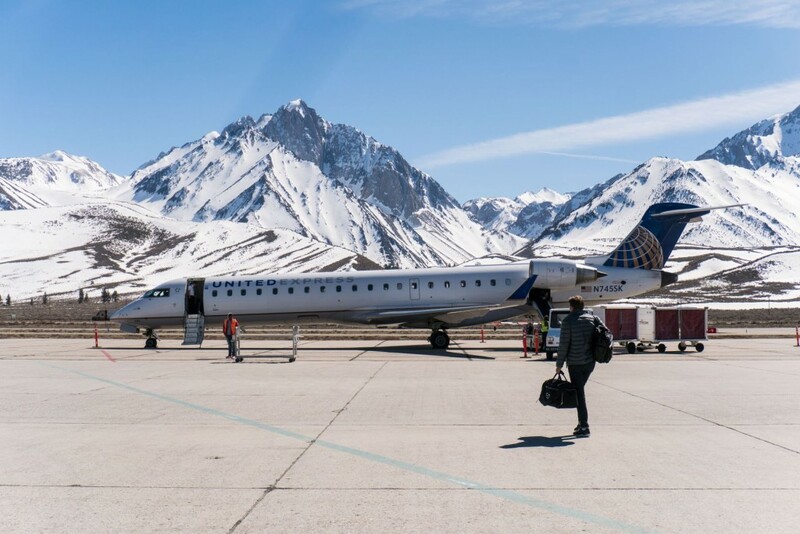 However, it was just announced that United Airlines will now be starting daily year-round service from Los Angeles to Mammoth Lakes and seasonal daily service from San Francisco to Mammoth Lakes on December 1st, 2018. In addition, they will also offer seasonal air service from Denver, Colorado into Mammoth Lakes from December 19, 2018 through March 19, 2019. The seasonal flight service to and from Denver will provide Ikon season pass holders with the opportunity to easily access and enjoy the ski resorts owned and operated by Alterra Mountain Company of which two are located in Colorado. Alterra Mountain Company announced today their acquisition of Solitude Mountain Resort in Utah. 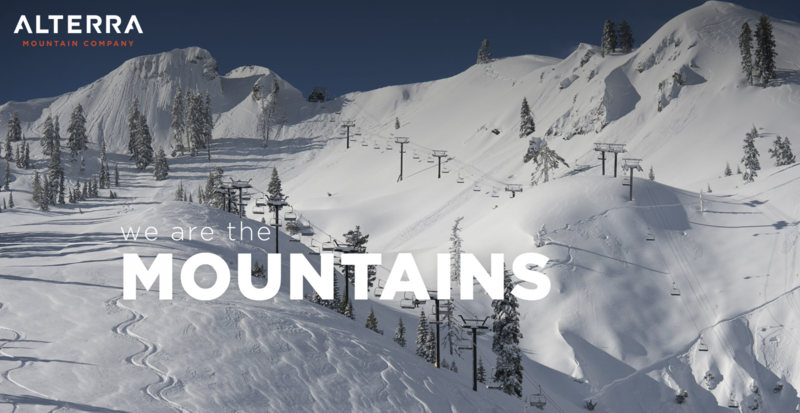 They now own a total of 13 ski resorts as follows: Steamboat – Colorado, Winter Park Resort – Colorado, Squaw Valley Alpine Meadows – California, Mammoth Mountain – California, June Mountain – California, Big Bear Mountain Resort – California, Stratton – Vermont, Snowshoe – West Virginia, Deer Valley – Utah, Solitude – Utah, Tremblant – Quebec, Blue Mountain – Ontario, CMH Heli-Skiing & Summer Adventures – British Columbia. A recent press release indicates that Snowmass, Aspen Mountain, Aspen Highlands and Buttermilk will continue to be run by Aspen Skiing Company and not by Alterra Mountain Company. To view a complete list of active condos on the market in Mammoth Lakes, click here. Feel free to contact me directly to schedule a property showing or to request automatic listing notifications for properties based on your desired criteria.